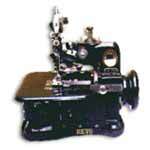 Shah & Co. is counted among the most prestigious sewing machine importers, situated in India. Our industrial sewing machines are highly valued by many renowned industries located in India. 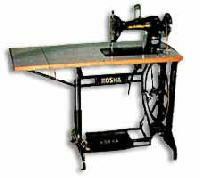 We offer three different types of sewing machines which are flatlock sewing machine, lockstitch sewing machine, overlock sewing machine. Our optimum quality sewing machines are accessible at the least market prices. We supply the best quality flatlock sewing machine, which has a fully automatic oil lubricated system. It performs its task at a mind blowing speed of 5500 stitches per minute. 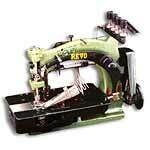 Our fully advanced flatlock sewing machine is available at reasonable rates. © Copyright 2009 - 2010. Shah & Co.